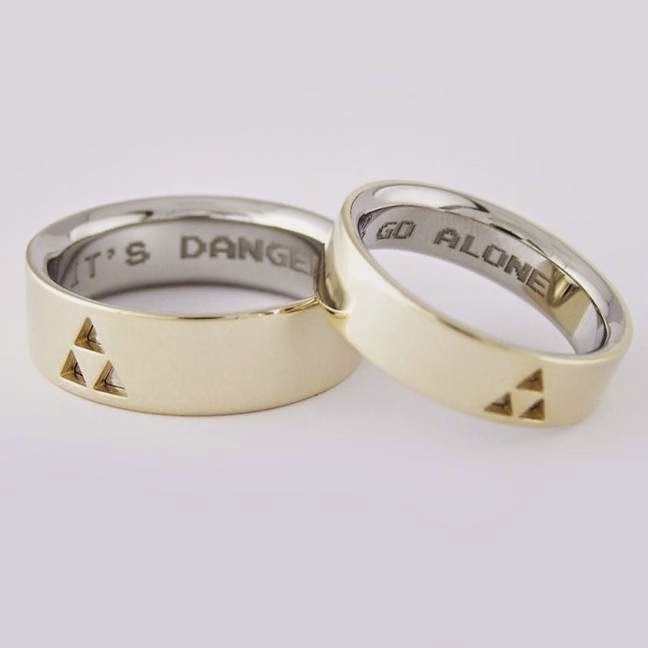 "The Legend of Zelda" wedding bands!!! 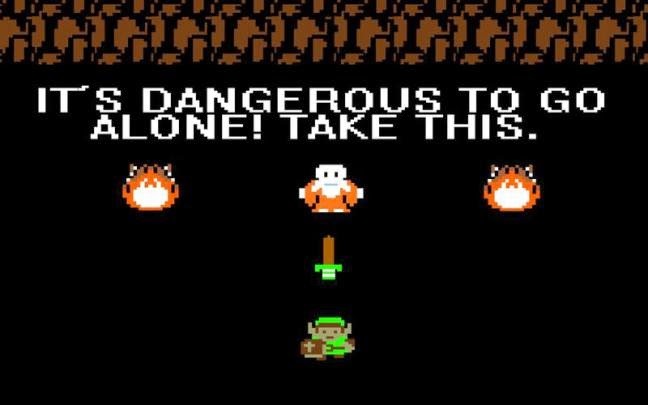 Inscribed "IT'S DANGEROUS TO GO ALONE"
For those not down with Zelda from the very start. And if you're really down... you knew that this was a reference to a commercial from the mid-90's for "The Legend of Zelda: Link's Awakening"